Minister of Economic Affairs and Communications Meelis Atonen answered the question of Mihhail Stalnuhhin about transit, the question of Kadi Pärnits about the Motor Vehicle Registration Centre, the question of Tunne Kelam about subsidies to the public transport, the question of Jüri ?ehovtsov about the road toll and the question of Arnold Kimber about the consumer protection. Minister of Justice Ken-Marti Vaher answered the question of Evelyn Sepp about the Public Service Act. Minister Jaan Õunapuu answered the question of Andres Tarand about the administrative reform, the question of Helir-Valdor Seeder about the state management of regional administration and the question of Toomas Alatalu about county governors. The Act on Amendments to § 63 of the Government of the Republic Act (1 SE), initiated by the Government of the Republic, was passed with 71 votes in favour. The amendment to the Act is related to the reorganisation of the Railway Administration into the Railway Inspectorate, prescribed in the Railway Act. The Act enters into force on March 31, 2004. The Money Laundering Prevention Act, Financial Supervision Authority Act, Credit Institutions Act, Police Act and Securities Market Act Amendment Act (103 SE), initiated by the Government of the Republic, was passed with 70 votes in favour. The aim of the amendment to the Act is to bring the current Money Laundering Prevention Act in conformity with the Directive 2001/97/EC of the European Parliament and of the Council amending Council Directive 91/308/EEC on prevention of the use of the financial system on the purpose of money laundering. The Act enters into force on January 1, 2004. The Consular Act (114 SE), initiated by the Government of the Republic, was passed with 73 votes in favour. The Act regulates the protection of interests and rights of the state of Estonia, Estonian citizens and Estonian legal persons in foreign states, the tasks and principles of management of consular posts, the status of consular officials and honorary consuls, their rights and obligations in rendering consular services and consular assistance, and the principles of rendering consular service and assistance to foreigners and to citizens of foreign states and the principles of rendering consular assistance to the citizens of the European Union. The Act on Amendments to the State Fees Act and State Fees Act Amendment Act (129 SE and 154 SE), initiated by the Government of the Republic, was passed with 65 votes in favour. The amendments to the Acts are necessary for specifying the payment of state fees for the operations taxable with state fees, pursuant to the Electricity Market Act, Natural Gas Act and District Heating Act, and for solving the problems cropped up in the field of telecommunication upon the implementation of the State Fees Act. 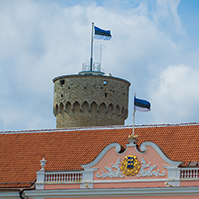 With these amendments the declaration of invalidity of the state fee taken for the customs formalities will be postponed from January 1, 2004, until the moment of Estonia?s accession to the European Union. 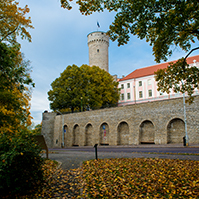 The Republic of Estonia Education Act and Education Allowances and Educational Loans Act Amendment Act (142 SE), initiated by the Estonian Reform Party Faction, Union for the Republic ? Res Publica Faction and Estonian People’s Union Faction, was passed with 71 votes in favour. The amendments to the Act prescribe partial write-off of educational loans for the prevention and alleviation of economic difficulties of young families with children. The amendments to the Education Act enter into force on January 1 and the amendments to the Education Allowances and Educational Loans Act on September 1, 2004. The Product Conformity Attestation Act Amendment Act (144 SE), initiated by the Government of the Republic, was passed with 71 votes in favour. Pursuant to the amendment to the Act, the procedural aspects of issuing the right to act and the declaration of it to be invalid of an authorised and designated body by the Product Conformity Attestation Act and the provisions concerning the supervision are amended. The Act on Amendments to the Code of Enforcement Procedure (115 SE), initiated by the Government of the Republic. 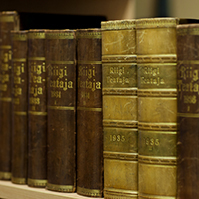 The Bill failed to receive the majority of votes of the members of the Riigikogu, required for its passage. 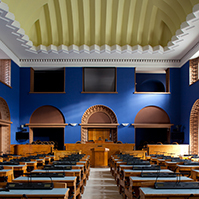 50 members of the Riigikogu voted in favour of the passage. The Bill on Amendments to the State Budget of the Year 2003 Act (159 SE), initiated by the Government of the Republic. The Bill on Amendments to the Value Added Tax Act (131 SE), initiated by the Government of the Republic. The Structural Fund Assistance Bill (148 SE), initiated by the Government of the Republic. The Bill on Amendments to the Rural Development and Agricultural Market Regulation Act (152 SE), initiated by the Government of the Republic. the second reading of the Waste Bill (105 SE), initiated by the Government of the Republic. The term for submission of motions to amend to the Environment Committee is 17 December, 18.00. The Persons Repressed by Occupation Regimes Bill (187 SE), initiated by the Government of the Republic. The term for submission of motions to amend to the Constitutional Committee is 8 December, 11.00. The Draft Code of Enforcement Procedure (143 SE), initiated by the Government of the Republic. The term for submission of motions to amend to the Legal Affairs Committee is 30 January, 18.00. 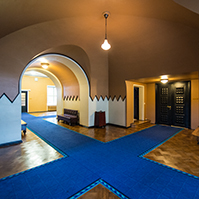 The Working Conditions of Posted Workers in Estonia Bill (191 SE), initiated by the Government of the Republic. The term for submission of motions to amend to the Social Affairs Committee is 17 December, 18.00. The Bill on the Ratification of the Cartagena Protocol on Biosafety to the Convention on Biological Diversity (186 SE), initiated by the Government of the Republic. The term for submission of motions to amend to the Environment Committee is 17 December, 18.00. The Strategic Goods Bill (162 SE), initiated by the Government of the Republic. The term for submission of motions to amend to the National Defence Committee is 4 October, 18.00. The Commercial Activities Bill (164 SE), initiated by the Government of the Republic. The term for submission of motions to amend to the Economic Affairs Committee is 17 December, 18.00. The Economic Activities Register Bill (165 SE), initiated by the Government of the Republic. The term for submission of motions to amend to the Economic Affairs Committee is 17 December, 18.00. The Bill on Amendments to the Acts Related to the Economic Activities Register Act and Commercial Activities Act (166 SE), initiated by the Government of the Republic. The term for submission of motions to amend to the Economic Affairs Committee is 17 December, 18.00. The Bill on Amendments to the Minimum Stocks of Liquid Fuel Act (194 SE), initiated by the Government of the Republic. The term for submission of motions to amend to the Economic Affairs Committee is 4 December, 12.00. The Bill on Amendments to the Motor Third Party Liability Insurance Act and the Insurance Activities Act (133 SE), initiated by the Government of the Republic. The term for submission of motions to amend to the Economic Affairs Committee is 17 December, 18.00. The Bill on Amendments to Government of the Republic Act and Other Acts, Related to the Merger of the Tax Board and Customs Board (181 SE), initiated by the Government of the Republic. The term for submission of motions to amend to the Constitutional Committee is 8 December, 11.00. The Bill on Amendments to the Acts Related to the Merger of the Tax Board and Customs Board (182 SE), initiated by the Government of the Republic. The term for submission of motions to amend to the Constitutional Committee is 8 December, 11.00. 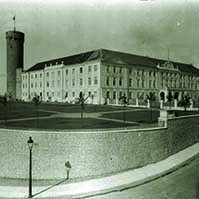 The sitting of the Riigikogu ended at 19.40.